Beginners to SharePoint often battle with the concept of how team sites are put together. Team sites are made up of lists, libraries and pages. SharePoint Lists are like an online version of Excel spreadsheets, but with better benefits. Lists are things that you capture rows of information into instead of uploading something. Using Lists instead of Excel spreadsheets allows multiple people to edit the information at once, maintain versions for each item (row) in the list, and create endless views of the information to extract reports on that information. (See working example). It is possible to have attachments on your list items as well. Think of your folders on your share drives. You click on a subfolder and drag documents into it. 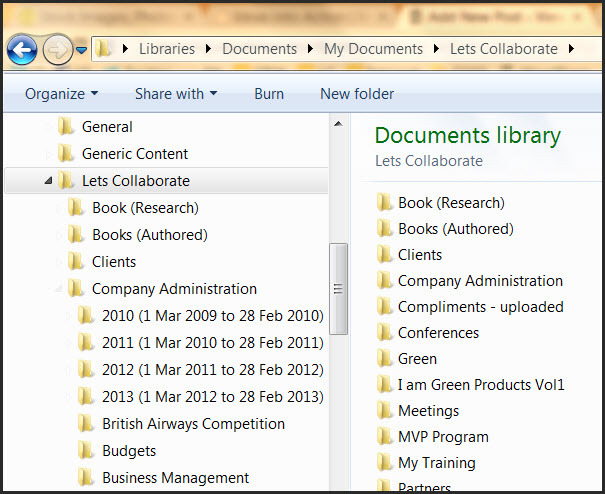 Libraries on SharePoint allow you to upload content into them. This is where you store your documents – but minus the subfolders. SharePoint has smarter options available to you. (See working example). You can see in both Lists and Libraries above that there are columns of information contained in them. That is how you are classifying and gathering the information about that row item or document. This all counts towards good search results on your content. Lists and libraries are almost interchangeable. Both can have documents, both have columns, both have versioning, both have views. (Views slice up the information, think pivot tables in Excel; this is the online version). It just depends on the type of information you’re working with. Is the document more important, or is the information about the document more important? So for example, if you need to keep track of registrations for an event; it would be more efficient to have them in a Custom List as you can create views to see how many people have accepted or declined, all their contact details, dietary preferences, bringing partners, etc. But if you were working with contracts and you have multiple people working on the clauses, a Document Library would be more efficient with a few columns to quickly categorise what type of contract it is, who owns it, what version it’s on etc. There are various built in List and Library templates to use depending on the content you have and all of them are customisable to your needs. If you’re not sure which one to use, create one of each and see which one works better for you. Think of Wikipedia. You get the puzzle page (home page) first with a search block. You type something in to the search box and enter. Text is presented to you that you read on screen. You aren’t physically downloading anything or opening other websites. Some words are blue hyperlinks which takes you to explanations of what they mean. (Wikipedia is a giant online encyclopedia made by the people for the people). Every page under the puzzle page is an embedded page. There are over 2 million of them on Wikipedia. It’s the same thing on your SharePoint team site. A standard welcome Site Page (landing page) is embedded into your team site with the ability to create as many more of them as you like with links anywhere you like. (See working example). The welcome page on a brand new Team Site is the same as the puzzle page on Wikipedia. It’s your landing page and you can make many embedded pages. (Download tutorial). You can link the views from your Lists and Libraries into your Site Pages. (Click here for a sample then click on the Tips, Tricks and Best Practices link). So instead of having different subsites to slice and dice information, you also have the ability to create a site page instead and build navigation in to that page. If you have a flat permission structure and everyone has to see everything with only one or two Site Owners, there’s no reason why you couldn’t have one subsite only with multiple Site Pages linked to the Quick Launch or Top Link Bar as required. The Lets Collaborate website is built like this. No subsites, only pages. It also means you don’t necessarily have to have so many Word documents. 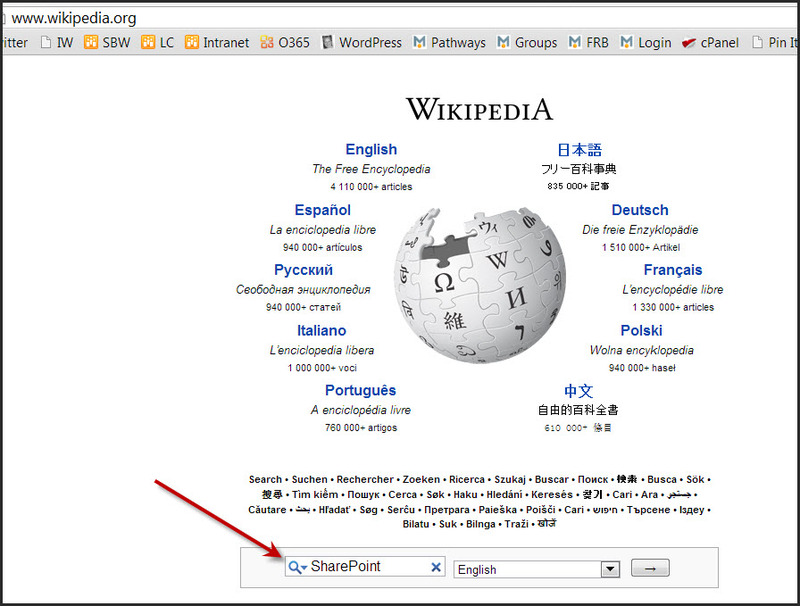 If there is static information you’d like to share, why not put it into a Site Page instead of a Word document. That way you have multiple links coming into the information because people can’t download it. This prevents duplication of files being stored all over the platform. There’s the added benefit that if the information is changed, it is instantly changed for everyone as there are just links to it from other sites. Lists, Libraries and Pages are all built on Content Types, but that’s a subject for another day. Need another analogy? Read Ellen’s blog. Previous Changing Jobs? Don’t Be Scared, or Intimidated! Wow! Really informative post. Thanks for posting. SharePoint is integrated with familiar client desktop applications and Web browsers to helps to offer a consistent user experience which simplifies how people interact with content and business data. Great insight for experienced mangers or communication pros. No – you would need to recreate them. But you can extract the metadata from either to re-use in the other one if necessary. Thanks for that, nice primer. Question for you, can you convert between a List and a Library? Thanks Veronique, it was quite informative and easy to understand these basic concepts. I am new at Sharepoint and this post let me know the difference. This is a perfect explanation. Our company just migrated documents from another platform to SharePoint and many of my colleagues did not understand the difference between the two. Pleasure Joe. Yes, both very good points! Thanks for raising it. HI Veronique, Thanks for the post. I can give you two more ways that Lists and Libraries differ. 1. Security Feature…on a List it is really easy to restrict users so that they can see only the records they added. This is not easy at all…or impossible?…with a Library. 2. Printed output from a Library is nicer. Hi Veronique, we must be SharePoint Soulmates – I am about to post a blog on this topic, but different! 🙂 I also find that many people do not know the difference between all these…and add the word “site” to the mix as well.